Carl Maxey was an NCAA Boxing legend, whose most important fights were outside the ring. 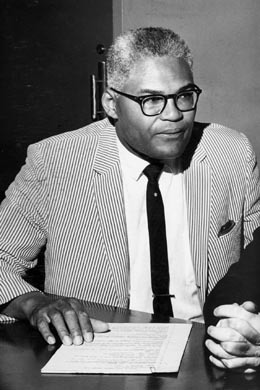 He was the first black man to graduate from Gonzaga Law School in 1951 and fought for African American's civil rights during the 1960s and 70s. One of Carl Maxey's earliest memories of fighting was against racism during his childhood. Maxey was adopted and then orphaned and ended up at the Spokane Children's Home in 1933. Maxey remembered that when the orphans took a trip to Camp Cowles, he was not allowed to "swim with the rest of the kids. " He also recalled having to wash dishes for the other children. Though a gifted scholar and athlete, Maxey always had to overcome the barrier of racial discrimination. In 1941, he attempted to walk on the football team at Eastern Washington College of Education (now EWU) but was forced to quit after multiple assaults and racist bullying. His attempt to join Gonzaga's football team in 1942 also failed. Maxey did return to Gonzaga 5 years later for his law degree. At that time law students were eligible to be athletes. 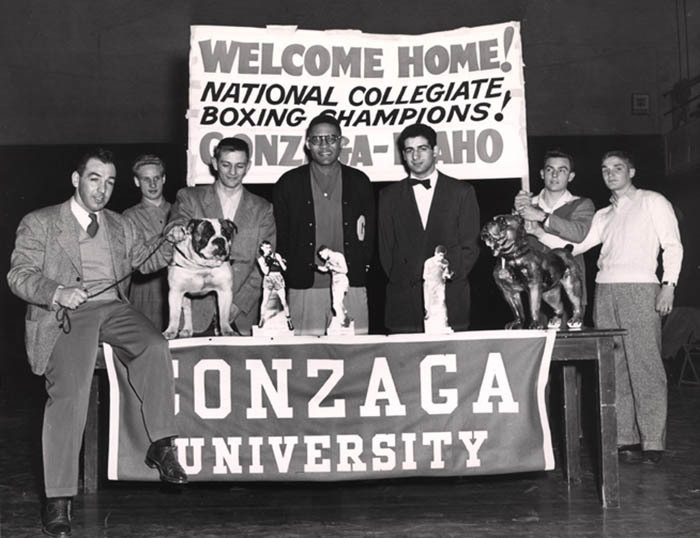 Maxey joined Gonzaga's boxing team and went undefeated during his 4-year career at Gonzaga. 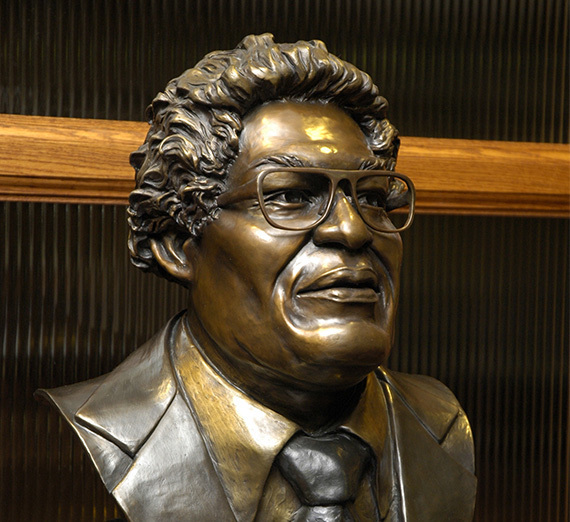 In 1951 Maxey became the first African American man to graduate from Gonzaga Law School. He never stepped foot in a ring again, fighting instead for civil rights. An example of this was the "Haircut Uproar" in 1963. Jangaba Johnson, an exchange student from Liberia, was denied a haircut from John M. Wheeler’s downtown Spokane barbershop on the account of his skin color. Maxey filed an official complaint with the Washington State Board Against Discrimination. Maxey won the case against the barbershop--and many others. Maxey opened the Maxey Law Office in 1980 under the three principles: integrity, equality, and justice. His work inspired his two sons, Bill and Bevan Maxey, to become lawyers and take over the law office in 1997. William Paaga, “Carl Maxey vs. The Injustices of Spokane,” Spokane Historical, accessed April 24, 2019, https://spokanehistorical.org/items/show/811. NCAA. 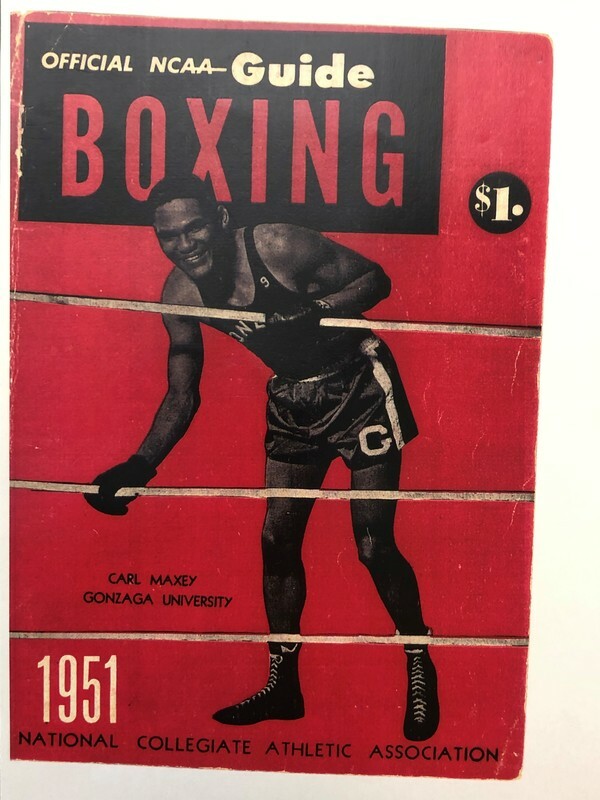 Carl Maxey: Cover Page of Official NCAA Boxing Guide. 1951. Carl Maxey Collection, Museum of Arts and Culture, Spokane, Wa. The Gonzaga Bulletin. Gonzaga’s Claim to Fame. April 14, 1950. Carl Maxey Collection, Museum of Arts and Culture, Spokane, Wa. Webster, John. Carl Maxey: ‘From Black Scratch’. March 1975. The Spokane Daily Chronicle, Spokane, Wa. Kershner, Jim. Carl Maxey: A Fighting Life. Seattle: University of Washington Press, 2008.